This climb starts beautifully, but finishes too quickly. It’s a good option if the second pitch of Harry Daley is crowded. 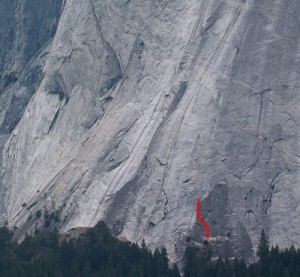 Which SuperTopo guidebooks include a topo for Chouinard Crack?